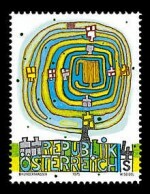 Here a listing of Hundertwasser stamps is given. As far as I know the list is complete. List supplied by Stefan Kiesewalter and William Scheckel. 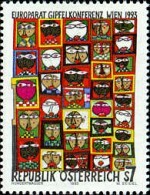 All stamps are shown in the list of Angye Lowe. The stamps marked with ** are not yet in my collection. Offers are welcome.